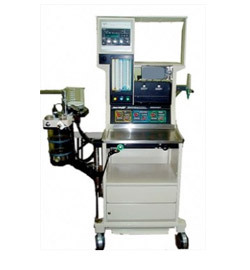 This anesthesia machine is great for areas where a small footprint is necessary. The 210 SE differs from the 210 in that it is a later model and has more ventilator options. O2, N2O, and medical air are standard on the Excel 210 SE. Drawer pack configurations may vary from picture. Features: "Accommodates 3 gases and 2 vaporizers "Powerful ventilation and monitoring capabilities for secondary anesthetizing locations. "Compact Frame; Fits Space-Constrained Areas. 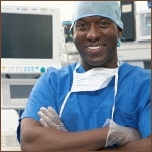 "Integrated Oxygen, Volume, Airway Pressure Monitoring. "Enclosed, Non-interchangeable Pneumatic Circuitry. "Differentiated Pipeline, Cylinder Gauges. "Master On / Off Switch; Activates Electronics and Pneumatics. "Link-25 Hypoxic Mixture Guard System. "Pin-Indexed, Gas-Specific Dual O2 and N2O Flowmeters. "Selectatec® Vaporizer Manifold for two Tech 5 Vaporizers. "Guarded O2 Flush Button. "Oxygen Power Outlet. "Fixed shelving with added Monitoring space. "Two-drawer Storage Cabinet. "Single-action Brake / Footrest. "Full-height Dovetail Accessory Mounting System. "Large, Easy-running Casters. Options: "7800 Electronic Ventilator with Tek 5 Vaporizers "7000 Ventilator with Tek 4 Vaporizers "New Sigma Delta Vaporizer Specifications: "Weight: 300 lb. (136 Kg) "Height: 66 in. (168 cm) "Width: 22 in. (55.87 cm) "Middle Shelf: Max Shelf Load: 24 lb. (11 kg) Size: 18.6 x 12.5 in (47.2 x 31.7 cm) Usable height: 6 in (15.2 cm) "Top Shelf: Max shelf load: 48 lb. (22 kg) Size: 23.5 x 14.2 in (59.6 x 36 cm) "Table Top: Height from Floor: 33.5 in (85cm) Size: 21.7 x 11.5 in (55.2 x 29.2 cm) "Drawer Cabinet: Contains two 10.5 in x 15 in x 4 in drawers "Absorber Arm Length: 14 in (35.5 cm) "Vertical Adjustment from Floor: 10 in to 26 in (25.4 cm to 66 cm) "Horizontal Adjustment: 6.5 in min; 11 in max (16.5 cm min; 27.9 cm max) "Casters: Diameter 5 in (12.7 cm) "Brakes: Brake bar lock on front casters; operated by footbar.